Flashback Friday! Last summer I did some serious research trying to figure out the best way to care for my little plant buds at home. There was so much info I complied it into one place for quick reference. The indoor plant sanctuary has only grown since! Happy to share the programs I designed for Ulla Johnson's Fall 2016 presentation! The presentation was artful, considered and filled with covetable pieces made from materials sourced responsibly from all over the world. The flowers from Saipua reinforced the wild, confident, romanticism of the collection. So grateful to be involved in this moment of beauty and powerful expression! 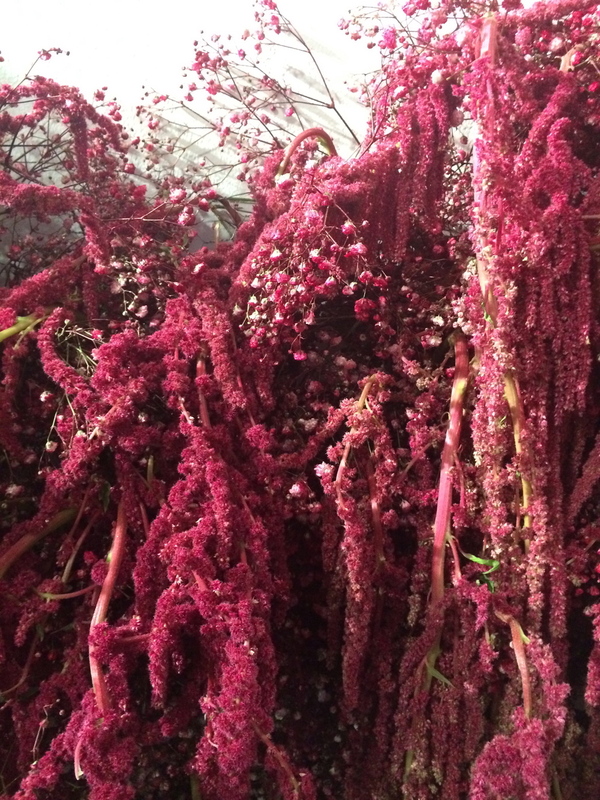 Walking around the space in Industria Superstudio, I was able to get quick shots of a few of my favorite looks (no small feat for a short lady surrounded by bundled up fashion peeps and tall photogs) and document the incredible amaranthus and dyed baby's breath. I also was asked by Ulla's team to design the digital invitations for the presentation. They provided a selection of images from which I created a text and photo combination that was the right fit for the mood. 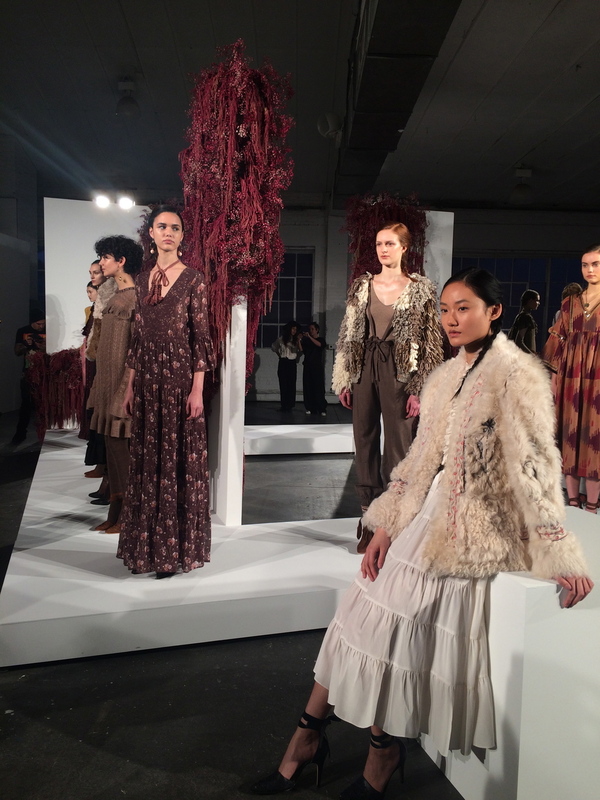 The opening statement from the season's program frames the visual - "For fall 2016 Ulla Johnson introduces a fin de siècle story of opulent textures and lavish pattern, gilded nymphs framed in a cabinet of curiosities." It's always exciting to work on a fun project with a great team and even more so such a treat to attend the event you've created ephemera for. I am filled to the brim with happiness and gratitude! I love a good Fashion Week #FBF. Here's a super fun invite I designed for Ulla Johnson not too long ago! A few weeks ago DJ Ayres asked me to make some art for a New York centric mix. The creative direction was to develop something that felt iconic and city-specific without being the Brooklyn Bridge. As someone who navigates this crazy place daily, my first thoughts were taxi cabs and pizza parlors. Two things you can't visually escape but also don't mind seeing — subliminal familiar comfort, in a way. That morphed into drawing an updated version of the classic "Ayeeee" pizza box chef, and integrating the title + The Rub's logo in a way that felt like a party pizza box, but also was still legible at tiny thumbnail size. Read about this nostalgic mix at The Fader.com, listen to it on Mixcloud or go out and dance tonight at Verboten.